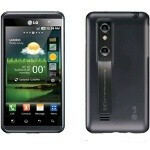 Online retailer Expansys has announced the price and the launch date of the first 3D smartphone - the LG Optimus 3D. The phone is set for an April 25 release in the United Kingdom, and will wear a £514.99 price tag. It's interesting to note that Expansys states the LG Optimus 3D will launch with Gingerbread out of the box, while previous reports claimed it's to come with Froyo. Either way, it will be the first glasses-free 3D smartphone by the company and also the first handset to record 3D video. April is not that far away, and we guess we will know more details about its US availability pretty soonish. Until then, all you have to do is to check our hands-on with the LG Optimus 3D to get the full picture about this much-anticipated device. Looking forward to it in EU. Holy cow!! That is like the most expensive phone I've ever read about. That is equal to about $702 in US currency. Hold you guns, smartphones are gonna get 999$ price tag pretty soon. most of times, expansys charges a lot on pre-orders.